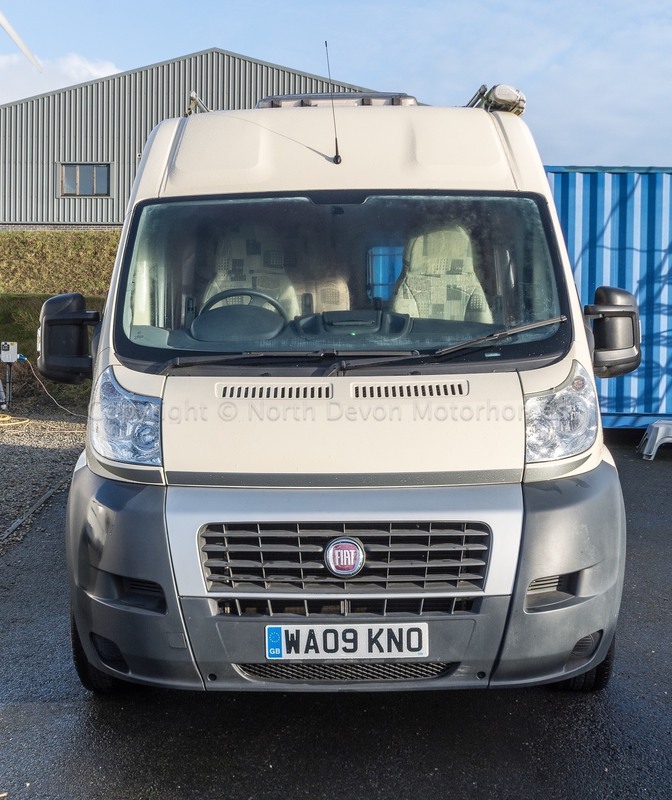 Trigano Tribute 655 based on a Fiat 2.2, Euro 4 and LEZ Compliant, showing just 59,000 Miles with up to date stamped service history. 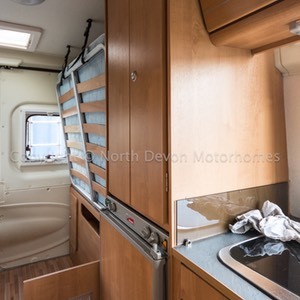 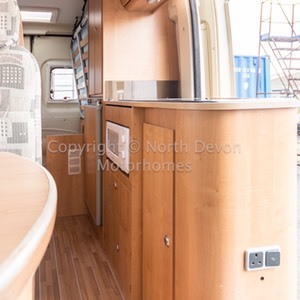 Having a much favoured layout, boasting a fixed rear double transverse bed which can hinge/elevate to make way for bulky/sizeable storage items. 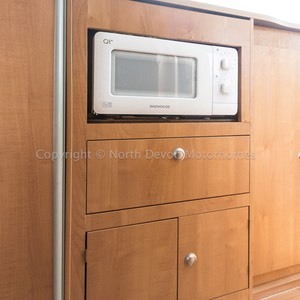 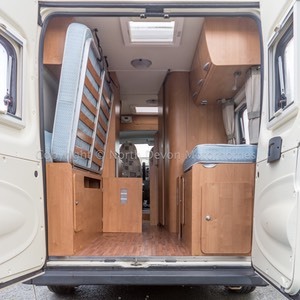 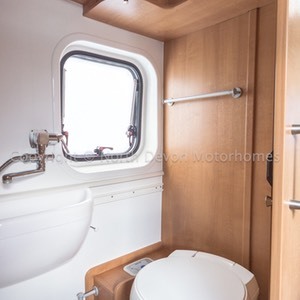 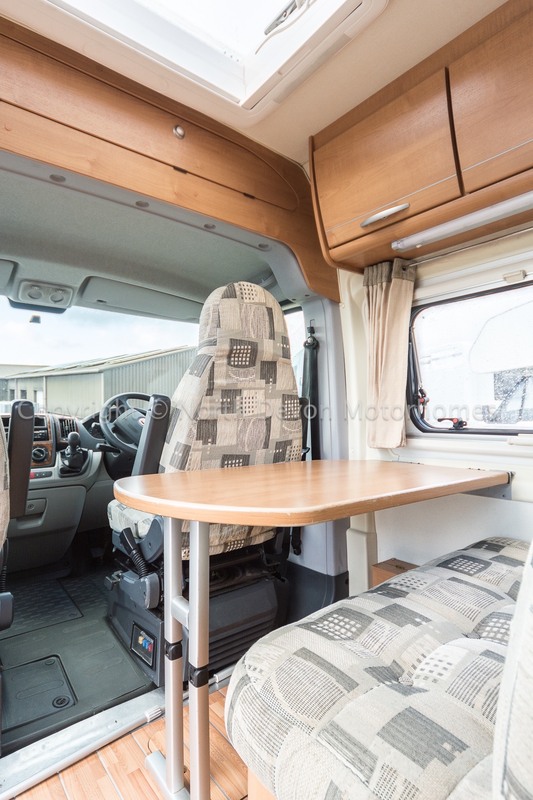 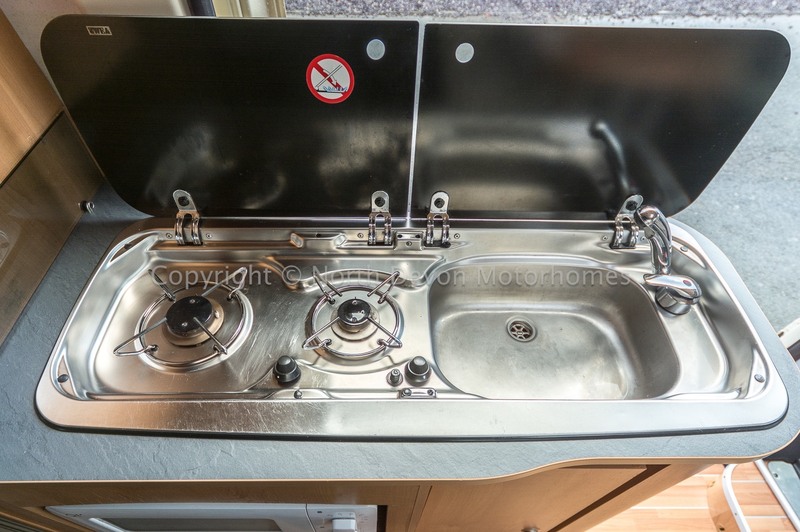 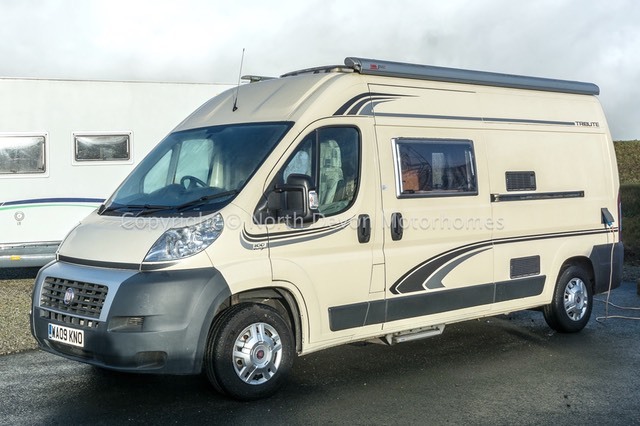 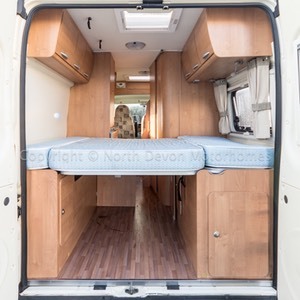 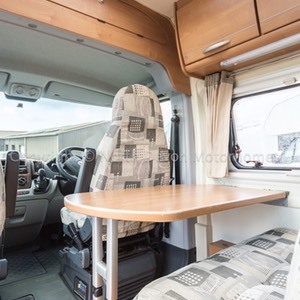 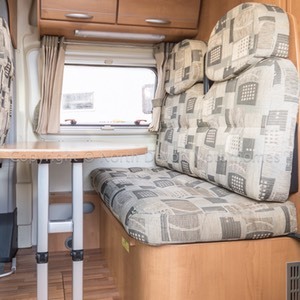 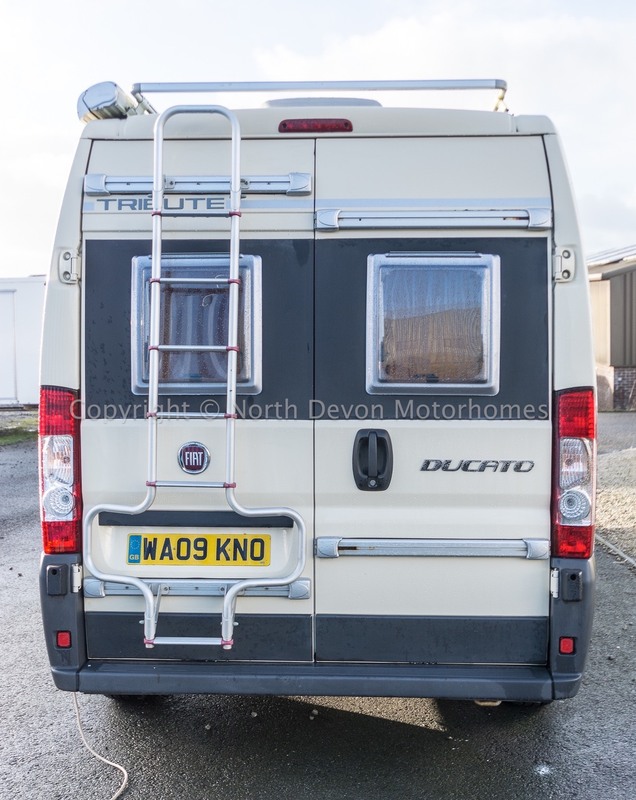 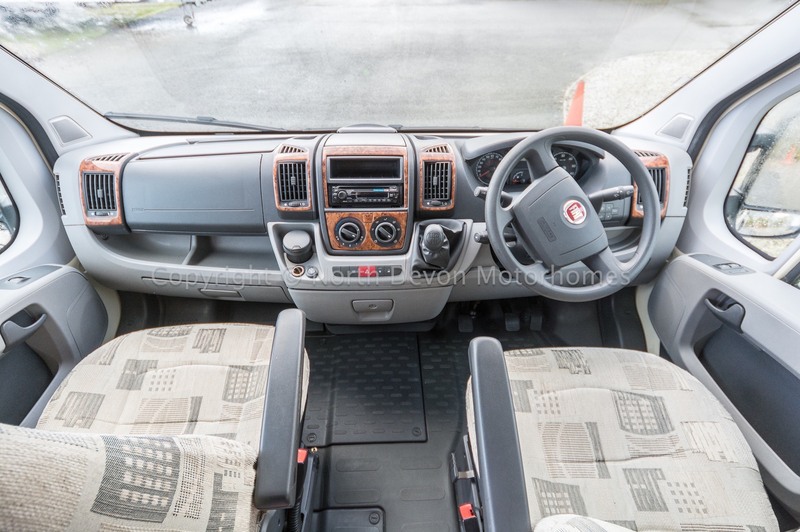 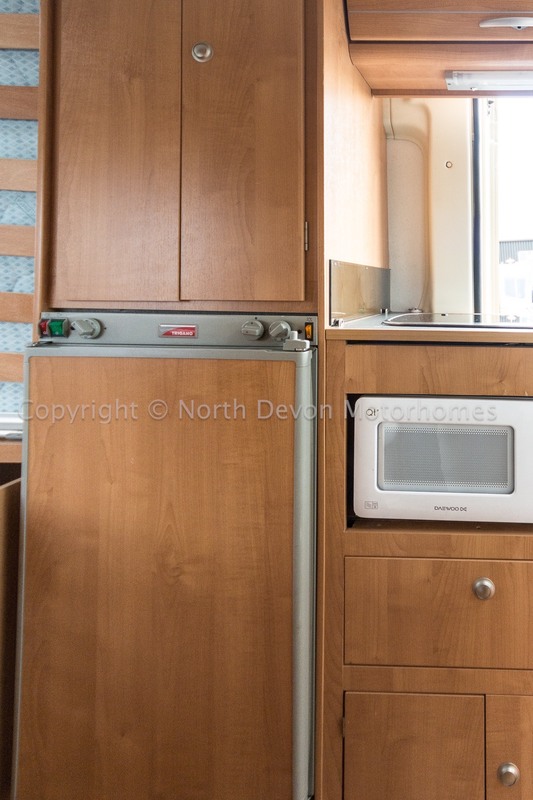 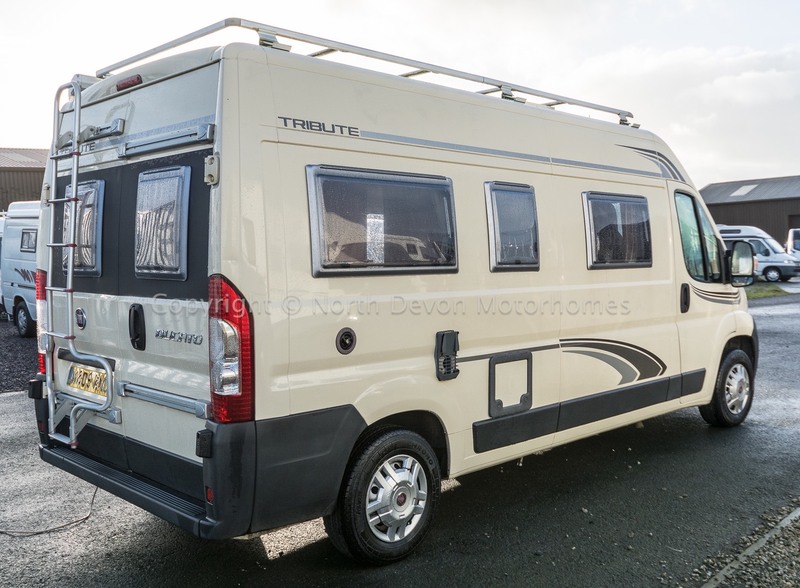 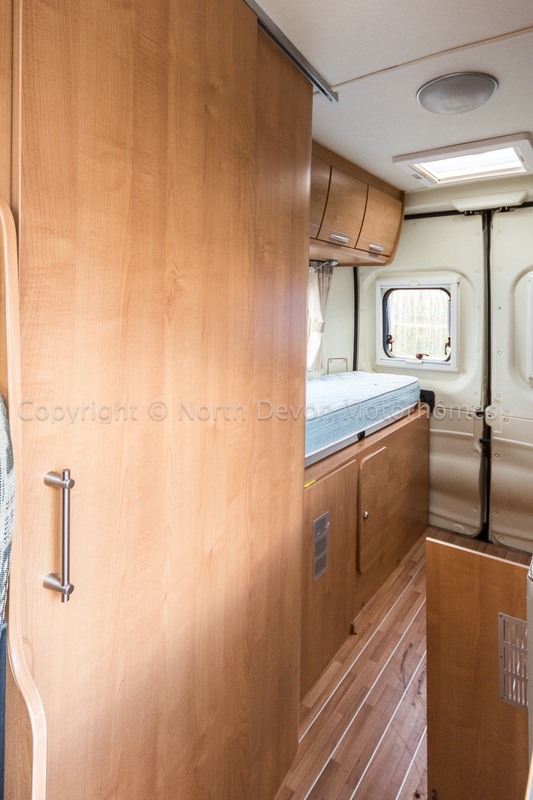 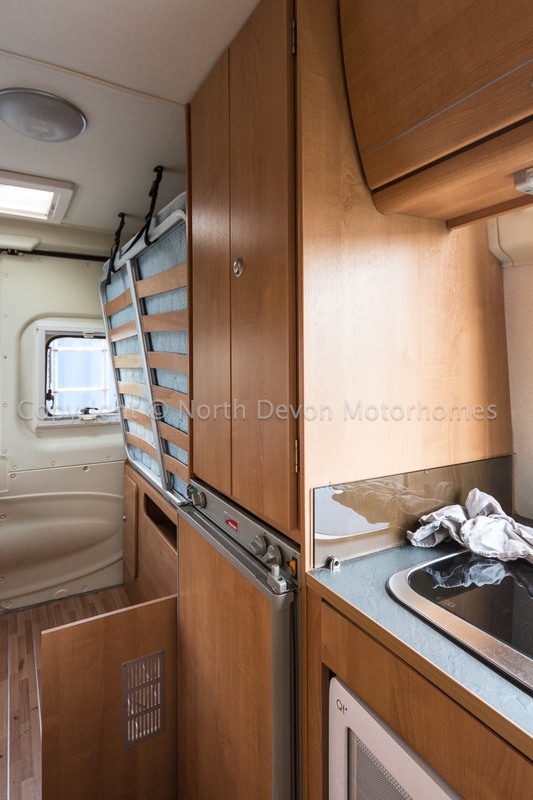 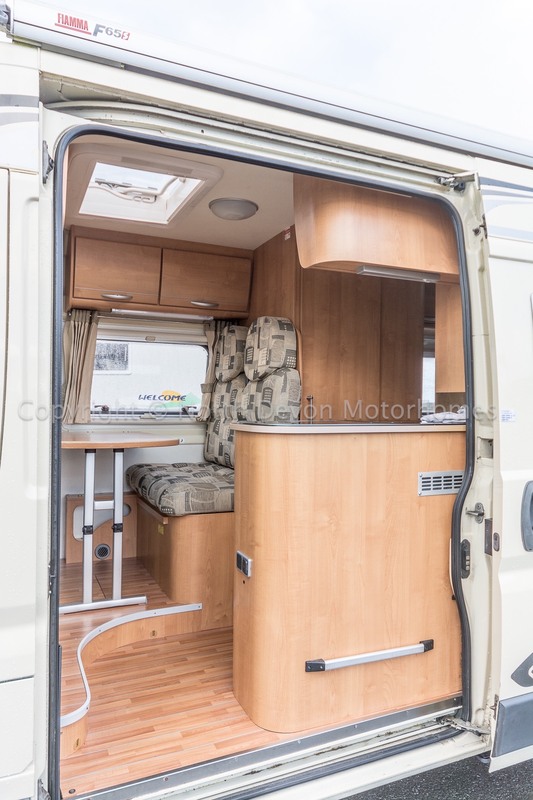 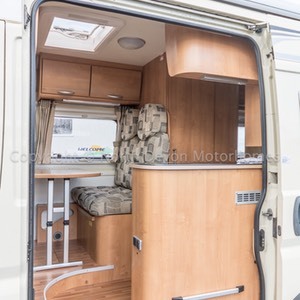 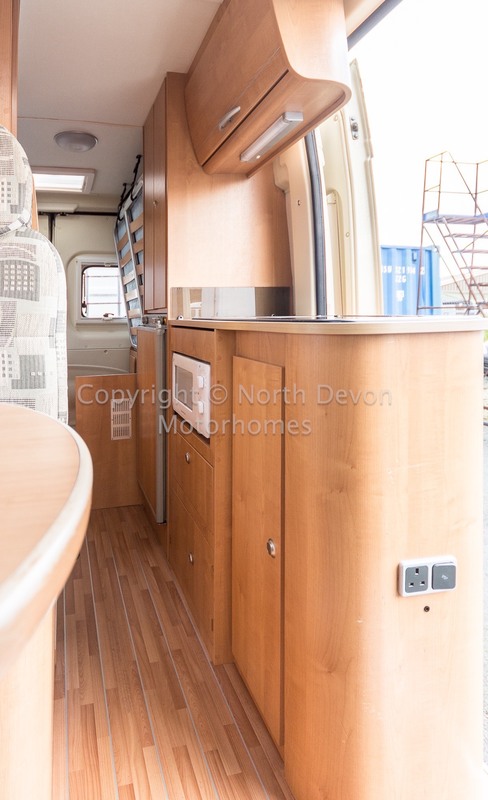 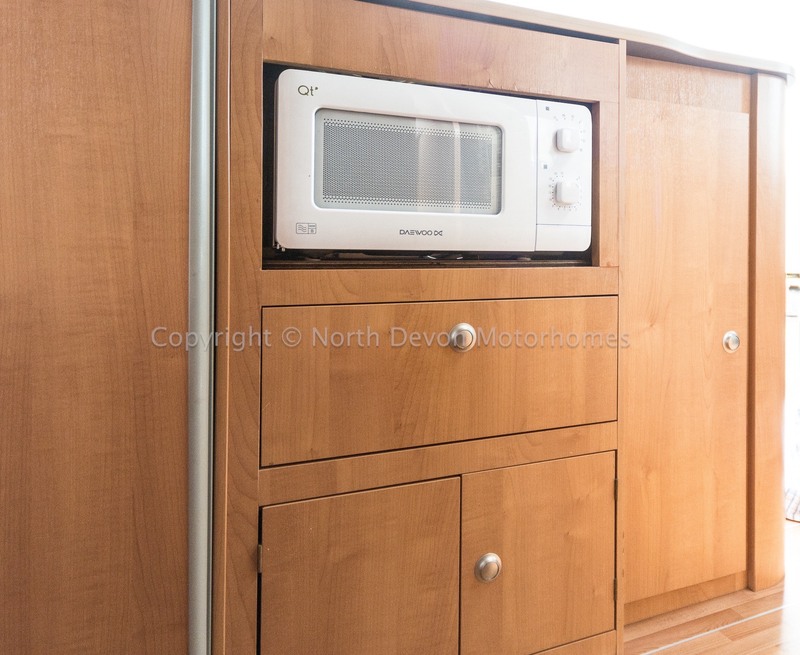 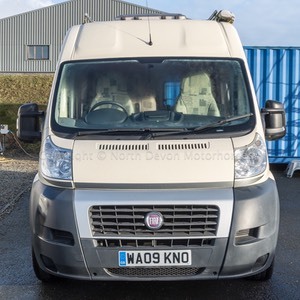 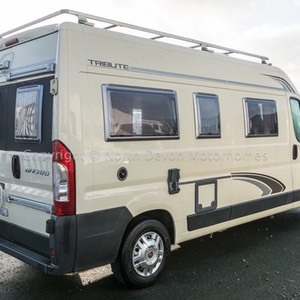 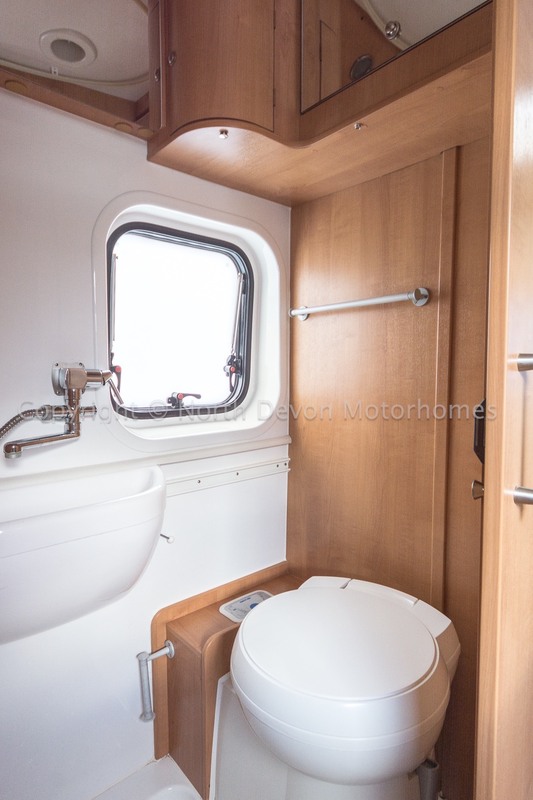 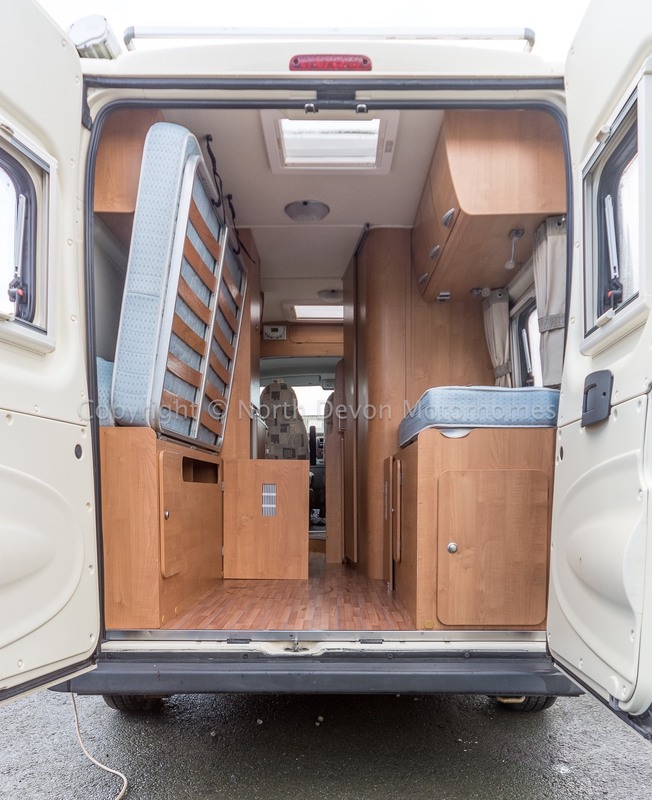 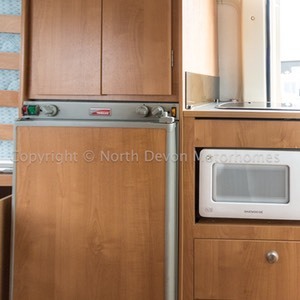 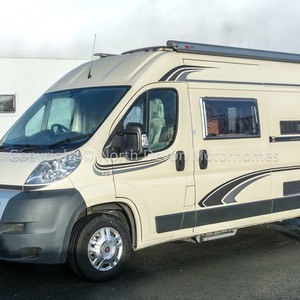 Fitted with a forward half dinette that incorporates 2 extra 3 point seat-belts, making this vehicle a very flexible and useable camper van, thats able to transport four in safety. 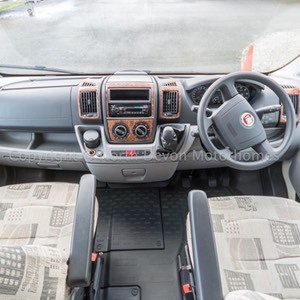 Electric mirrors and windows, PAS, Cruise Control, Drivers and Passengers airbags, Sony stereo, Swivel captains seats. 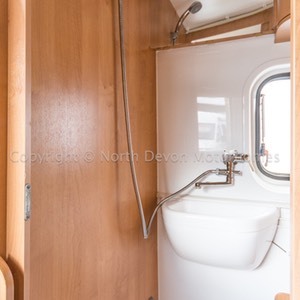 2/3 Berth, 1 Double and possibly 1 single. 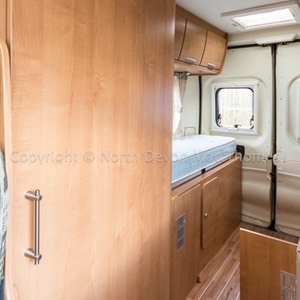 Double transverse rear bed that can be folded up to walk out of rear doors or to access a large under bed storage area. 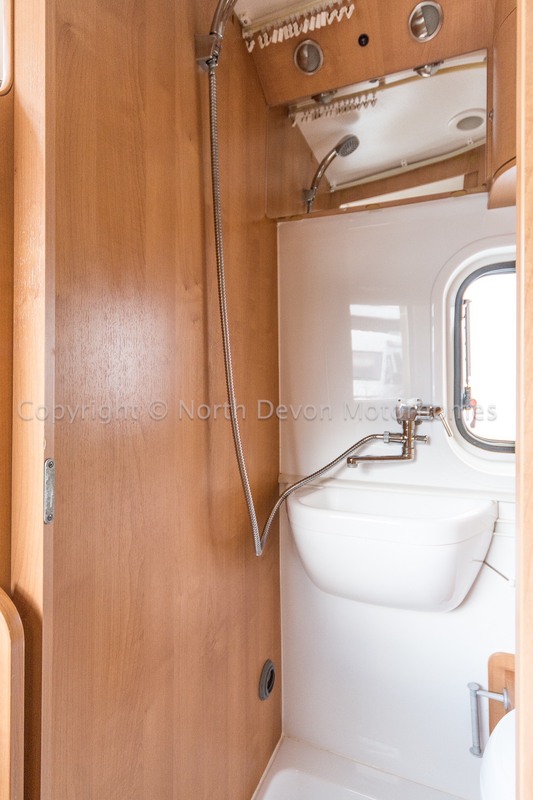 Cassette toilet, Shower, Sink with storage over. 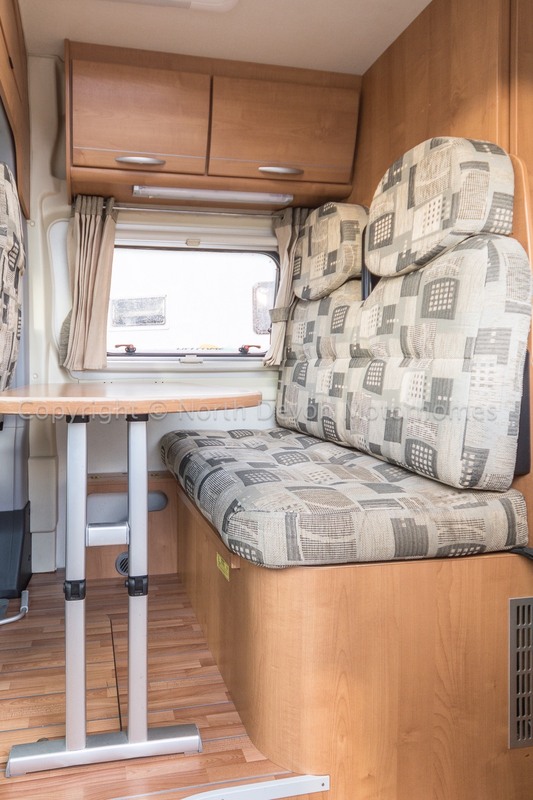 Forward facing double seat with 2 seat belt, table, Driver and passenger seats swivel to incorporate into the lounge. 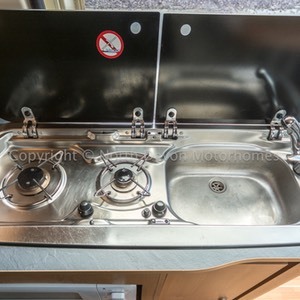 Webasto Diesel heater, Truma Boiler for hot water to both kitchen and washroom running on gas. 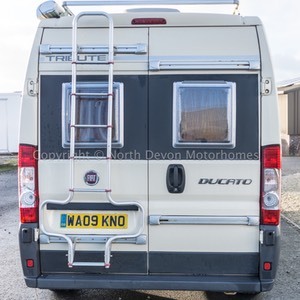 240V hookup lead, Stereo, Awning, Electric Step, Solar Panel, Rear Ladder and Roof Rails. 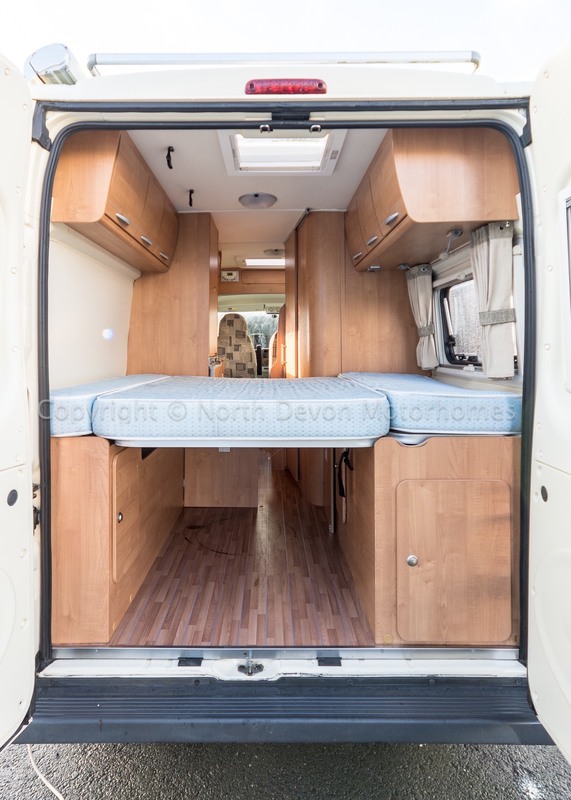 A fabulous hightop camper van punching above its weight considering its moderate length of just under 6 metres with a much desired rear bed layout and fitted extras.